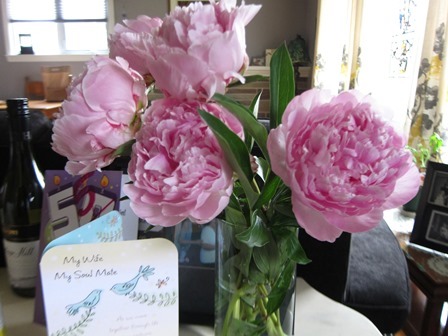 Happy Anniversary to the most beautiful Peony of all, my wife Monica. They always bloom around your birthday/anniversary and you always bloom for me. Happy 29th Babe. Here’s to 29 more. I’ll have the Saturday combo please – friends, food & drink and hockey.